Have you ever exaggerated your expenses? Of course not, we hear you shout – while crossing your fingers behind your backs! 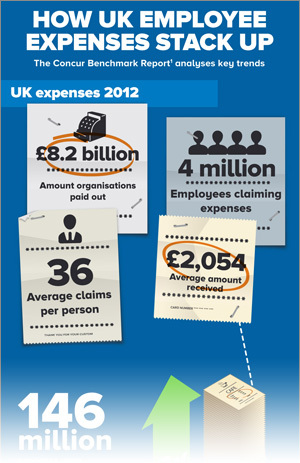 According to a report, 11% of employees have talked up their claims, and 20% of workers think it’s acceptable. How do we know this? The findings are part of the Employee Expenses Benchmark Report 2013, produced by Concur, the leading global provider of travel and expense management solutions. This was the fun infographic we created to accompany the full report. You can see it in full here on Concur’s website.